Asheville DMV License Plate Agency provides all NC DMV license plate service including all vehicle tags and plates, vehicle registration, vehicle titling and full notary service. Our staffed Dealer Services Group provides client-focused services to all area Automobile Dealerships. 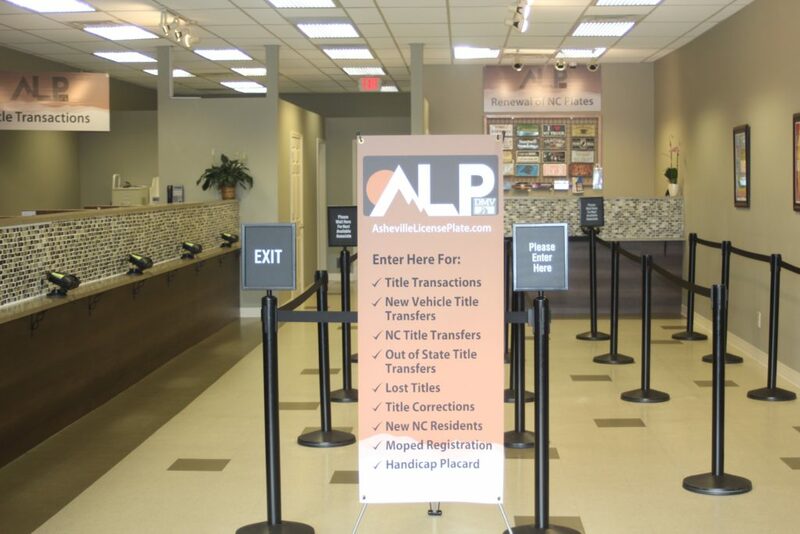 Visit our separate convenient and comfortable Dealer Services area. Both drop off and pick-up and delivery service are available. Our DMV Dealer Services area is staffed with knowledgeable agents for your convenience. Handicap permits & placards, NC Wildlife Services including Hunting & Fishing License, Vessel Registration and Big Game Harvest Reporting. Visit Asheville License Plate for all your notary needs. 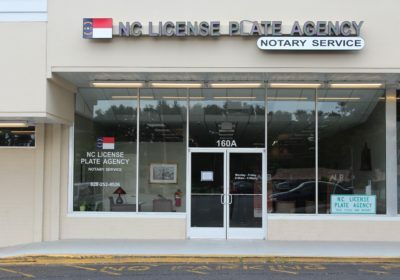 All team members at Asheville DMV License Plate Tag Agency can provide notary service. Asheville License Plate is your premier tag office featuring a renovated interior, convenient new location, and expert service.